A soprano who can swing as freely as she can soar, McDonald is also one of the most stirring stage actors of her generation. Why See Frankie and Johnny In the Clair de Lune? Thanks to a prolific and influential creative output, beloved American playwright Terrence McNally has already taken his place amongst theater and literary luminaries like Rodgers, Hammerstein, George M. Cohan and Arthur Miller. Borrowing from his personal life and own unique understanding of the world, McNally has continuously illustrated an overarching theme of human connection or the failing thereof in many guises, be it satire or drama, exploring themes of AIDS, homophobia, love, life and all the messy bits in between. In celebration of this iconic theatermaker's 80th birthday, director Arin Arbus presents a special 16 week Broadway engagement of his classic two-hander Frankie and Johnny in the Claire De Lune. 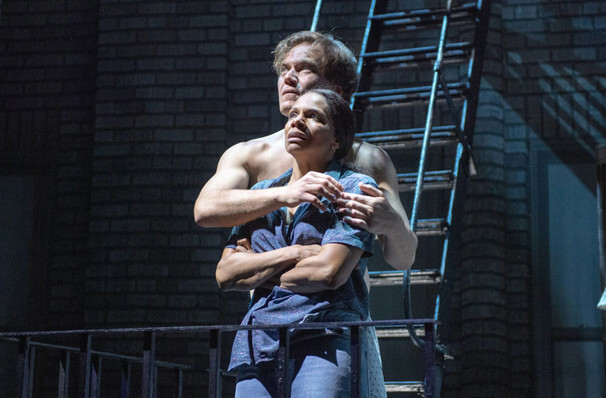 Two-time Oscar-nominated Hollywood heavyweight Michael Shannon stars opposite Tony, Grammy and Emmy-winning Great White Way royalty Audra McDonald as the titular middle-aged lovers at the center of the bittersweet comedy about romance blossoming in unlikely places. Whilst the respected actors are no strangers to treading the Broadway boards, the production itself made its mark on New York in 2002 starring Edie Falco and Stanley Tucci following an Off-Broadway debut featuring with Kathy Bates and Kenneth Welsh in 1987. Al Pacino and Michelle Pfeiffer also brought the visceral story to life in Gary Marshall's 1991 feature film. What is Frankie & Johnny About? Unlike most stage and screen romances, Frankie & Johnny begins with its title characters in bed together, after their first date ends. They've been to a movie, made idle chit chat and done the deed - it's hardly the stuff of an epic Mills and Boon bodice-ripper. The sarcastic and frumpy Frankie, a waitress at a greasy spoon, can't wait for Johnny, a new short order cook at the same joint, to leave so she can eat ice cream and watch television in peace. But Johnny has other ideas... Although she mocks him mercilessly, prolific meddler and constant talker Johnny professes his undying love for his recent amour, convinced she is his soulmate. As he wares away at her defences, they each bare their souls a little more as the tentative signs of love unfurl and a mismatch becomes a tender new relationship. 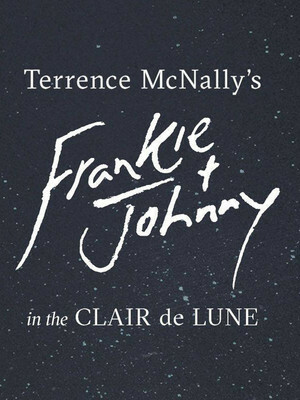 Seen Frankie and Johnny In the Clair de Lune? Loved it? Hated it? Sound good to you? Share this page on social media and let your friends know about Frankie and Johnny In the Clair de Lune at Broadhurst Theater.